Across the world, this has been a tumultuous summer already: Jade Helm, Fast Track on the TPP, Greece and the EU, Yemen, the Rohingya, Iran, so much more. This Summer issue, much looked forward to, has been delayed for too many reasons, not least cyber-attacks on computers and Facebook accounts (Jade Helm AI in action? ), summer trips, heat waves–but we just marked a Blue Moon in Aquarius! And I’m told this represents uniqueness, individuality, change, soul and self-empowerment, and great moves forward for Consciousness. Delphi is pleased to celebrate this soul-empowering once-in-a-Blue-Moon in the middle of 2015 with deeply thoughtful, open-hearted, and giving interviews with writers and poets unafraid to speak their mind. Norma Riccucci, a much-published social scientist and college academic, speaks movingly about the difficult life experiences from family tragedies she writes about in her memoir. Catherine Ryan-Hyde, a much-published and beloved fiction writer also opens up about life experiences which have led to an interest in her fiction in “found families,” redemption, and characters marked by out-of-the-ordinary actions of compassion. Kim Roberts, celebrated and award-winning poet, editor, and Washington, DC literary historian offers a rare glimpse into the heart of her imagistic and narrative poetry, and shares reading interests and personal experiences with illness which lie behind her interest in objects in medical museums which she covers powerfully in her work. 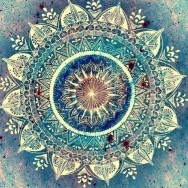 Michael Patrick Collins, poet and teacher, offers insights into his fascination with mandalas, his preoccupations with notions of soul, and the interesting language work in his poetry. Please look below or click on Current Issue for more. If you’ve appeared in Delphi before, please send in news of your latest publications, reviews, websites for inclusion in Writers’ News. To help keep those news items organized, please send an email to Delphi anytime with Writers’ News/Your Name in the subject line. Delphi‘s Interview Connector model continues with this issue, with our star interviewee Lisa Lenard-Cook, earlier profiled here, and here, as a magazine editor, returning to feature fiction writer Catherine Ryan-Hyde. Lisa’s creative title, Two Writers Talk Shop, is one Delphi hopes to use for all returning writers from now on, as a separate feature, to honor their initiative (thanks, Lisa!). More from our ongoing series of Round-Robin Interviews from the small press Word Tech Communications, a well-known poetry publisher with several excellent imprints, upcoming in the Fall issue. Delphi hopes to expand (probably over the next year) into a full literary quarterly (publishing fiction, poetry, and creative non-fiction, in addition to interviews and op-eds), while also seeking non-profit status and funding. Delphi is in other words seeking to pay its writers and interviewers! Delphi, a labor of love so far, is also seeking funding! If you’d like to be part of this expansion in some capacity, please drop a line. Delphi Quarterly presents four insightful and thought-provoking interviews in this issue, with two celebrated and emerging poets, a much-loved fiction writer, and an extraordinary memoirist, who offer candid discussion of their award-winning and intriguing poetry, best-selling fiction, and fascinating memoir, with glimpses into their various other worlds of editing, literary history documenting, publishing, and teaching. Many thanks to the dedicated writer-interviewers, Shilpa Kameswaran, Lisa Lenard-Cook, Annie Kim who joined editor Ramola D to take time from their own writing to work on these compelling interviews. Shilpa Kameswaran, poet, journalist, and editor talks with memoirist, social scientist, and academic Norma Riccuccci about her immigrant Italian background, early family tragedies, eye-opening travels in the US, and unabashed feminism as recorded in her memoir A Heart Near Death. Lisa Lenard-Cook, fiction and non-fiction writer, teacher, and editor, profiled earlier in Delphi, returns to interview Catherine Ryan-Hyde, prolific fiction writer and New York Times bestselling author on issues of craft such as the compelling and believable characters and stories in her latest fiction, which include the books Take Me With You and The Language of Hoofbeats, as well as her take on current scenarios in publishing. Annie Kim, a poet who received exciting notice this summer of a first-book award for her poetry, interviews poet and teacher Michael Patrick Collins on the intricacies of his language-poetry and views on craft in his first poetry collection Psalmandala. Ramola D, editor of Delphi, fiction-writer, journalist, and poet interviews celebrated and award-winning poet, editor, and literary historian Kim Roberts on subjects of craft and themes of polar exploration, objects of medical history, museums, and travel in her new and award-winning books Fortune’s Favor and Animal Magnetism, as well as her earlier work, Kimnama. Norma M. Riccucci is Board of Governors Distinguished Professor of Public Administration at the School of Public Affairs and Administration, Rutgers University, Newark. A Heart Near Death is Prof. Riccucci’s heart wrenching memoir of immigrant sagas, the Italian diaspora, and a young orphan’s coming of age. Professor Riccucci has published extensively in the areas of diversity management, affirmative action, human resources and public sector labor relations. Some of her academic publications include: Public Administration: Traditions of Inquiry and Philosophies of Knowledge (Georgetown University Press), which received the 2012 Best Book Award from the Research section of the American Society of Public Administration); How Management Matters: Street Level Bureaucrats and Welfare Reform (Georgetown University Press) which received the 2009 Best Book Award from the public administration section of the American Political Science Association); and Managing Diversity in Public Sector Workforces (Westview Press). Catherine Ryan Hyde is the author of 30 published and forthcoming books. Her novels include Worthy, The Language of Hoofbeats, Take Me With You, Where We Belong, When I Found You, and Walk Me Home. New Kindle editions of her backlist titles Funerals for Horses, Earthquake Weather and Other Stories, Electric God, and Walter’s Purple Heart are now available. Also available is The Long, Steep Path: Everyday Inspiration From the Author of Pay It Forward, her first book-length creative nonfiction. An avid hiker, traveler, and amateur photographer, she has just released her first book of photos, 365 Days of Gratitude: Photos From A Beautiful World. 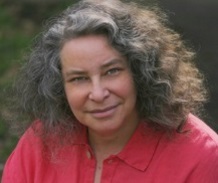 She is co-author, with publishing industry blogger Anne R. Allen, of How to Be A Writer in the E-Age: A Self-Help Guide. As Delphi celebrates 2015 with this Summer issue–we invite writers, poets, memoirists, essayists, playwrights, and filmmakers everywhere to join us–interview a fellow/sister writer or filmmaker, write an op-ed on a current issue of your choice, offer us insights into your writing residencies, centers, and workshops! If you have been interviewed in these pages, we invite you to join the Interview Connector, to follow up with an interview of your own, to introduce a wonderful and deserving writer you know to a larger audience. Or, if you run a small press, consider setting up Round-Robin interviews with your best writers, where writers interview each other.